Bring your healthy home to a whole new level of clean with the Verilux UV Rechargeable Sanitizing Wand. 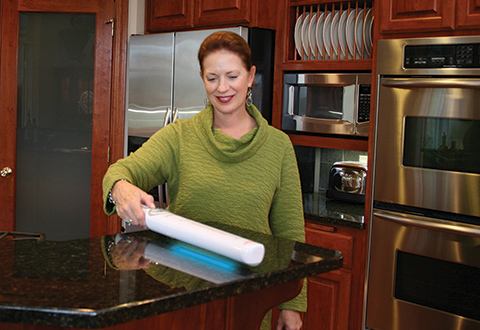 This handy cordless device uses Ultraviolet-C light to kill up to 99.9% of germs, viruses, MRSA, H1N1 and other micro-organisms on solid, non-porous surfaces. 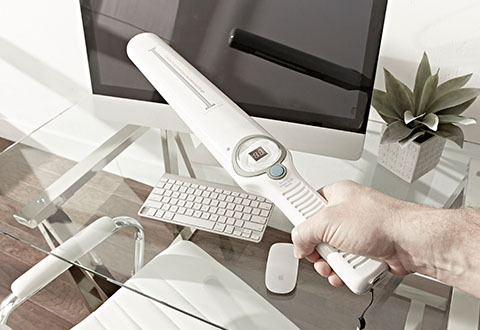 It sanitizes without chemicals, irritants or residues, and operates at full power for one hour on a single charge. 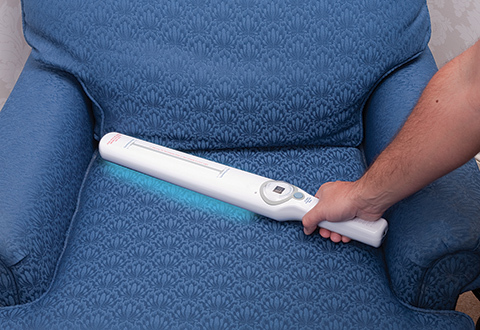 Simply wave it over countertops, keyboards, cell phones, pillows, cribs, mattress covers, upholstery, pet beds, hotel bedding, baby items and more. 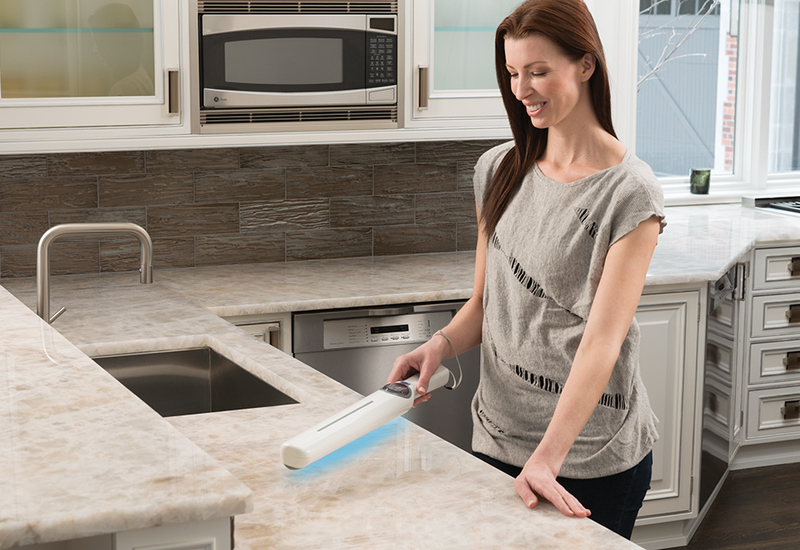 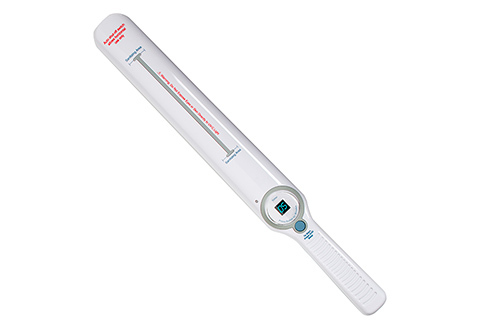 The Verilux UV Rechargeable Sanitizing Wand kills up to 99.9% of germs and allergens on solid, non-porous surfaces without harsh chemicals. 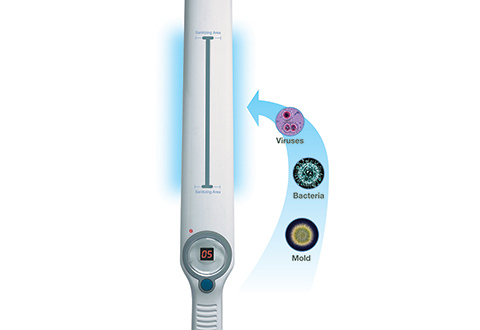 It's laboratory-proven to eliminate up to 99% of MRSA and H1N1 in just one second!